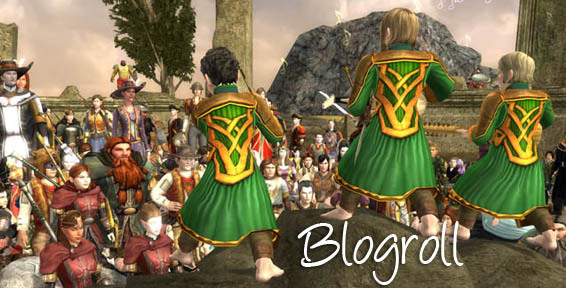 This challenge was suggested to me by Hymne over at Cosmetic Lotro. 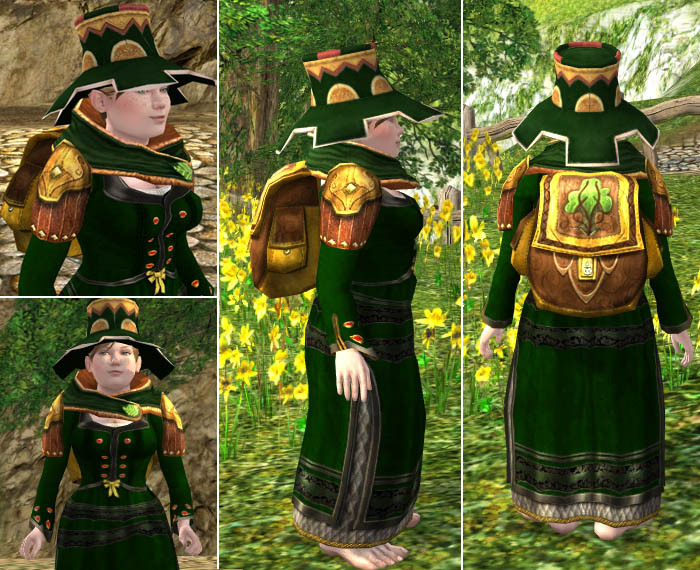 This funny hat has several versions in game including a ceremonial version in the Lotro Store. Don’t waist your money though, it is a very easy hat to acquire including a Trestlebridge quest reward. Can you make this silly looking hat stylish? Submit your outfit ideas here. Include your character’s name and server, a front and back picture of the outfit and a list of the items you used along with any dye information. Tell me a little bit what you like about your outfit too. There is no deadline, join in on the fun anytime! When I opened your blog this morning you brought a huge smile to my face. What a fantastic outfit you made with that funny hat! It looks awesome in green and not silly at all. 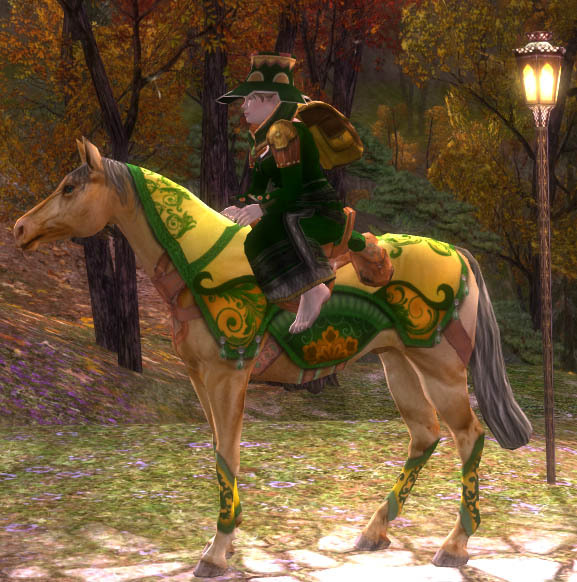 Granted, hobbits are more forgiving regarding hats than other races but this looks like something she would really use to travel around. Great job, you beat the challenge!! I still have no idea how to use that hat for my elf girl though. I will try to think of something the coming week. Agree with Lydia above. You made the old Woodruff’s hat almost Couture. Bravo! I wore this hat on my hunter, Strunto, for a LONG time just because it is so ridiculous. I thought it would be funny that he loved it despite everyone else making fun of it. Eventually, though, I got bigger and better items and that costume had to be shuffled out of my cosmetic slots.